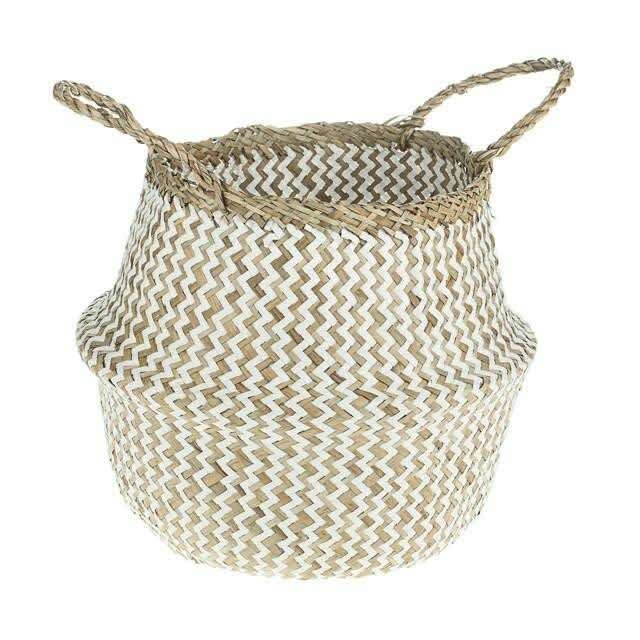 A stylish hand woven basket with carry handles in a zigzag white and natural reed weave. The Scandi inspired basket is perfect for storing your laundry, toys, or even a pot plant. Hyde and Seek in Exeter, United Kingdom.